Welcome to All Sensors “Put the Pressure on Us” blog. This blog brings out pressure sensor aspects in a variety of applications inspired by headlines, consumer and industry requirements, market research, government activities and you. In this blog we’ll discuss All Sensors’ new XHM Series Pressure Sensors. All Sensors has announced a new XHM Series Pressure Sensor. The XHM Series Pressure Sensors provide a precision calibrated and temperature compensated millivolt output. A DIP package allows for through-hole PCB mounting. The XHM Series is available from 5 inH2O to 30 PSI pressure ranges and is intended for use with dry air and non-corrosive gases. This series provides a calibrated and compensated output over a temperature range of 0°C to 50°C. Datasheet download here. Samples are available for product testing. Welcome to All Sensors “Put the Pressure on Us” blog. This blog brings out pressure sensor aspects in a variety of applications inspired by headlines, consumer and industry requirements, market research, government activities and you. In this blog we’ll discuss the application of pressure sensing in drones. Aircraft of all sorts have different applications for pressure sensing. 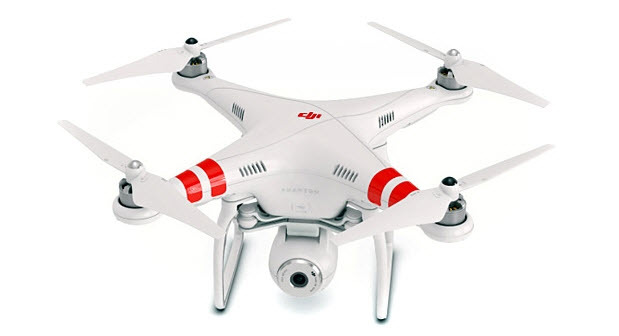 Drones in particular employ altimeters and barometers similar to even the most and least sophisticated aircraft. A basic surveillance drone can also use accelerometers, gyroscopes and magnetometers as well as cameras, temperature sensors and more. The altimeter is an integral part of the altimeter control. While some drones have been developed and sold with ultrasonic sensors, pressure sensors improve the hovering mode of the most basic drones. With the altimeter, the air pressure in flight can be compared to the ground pressure for higher, safer operation of the drone. Altimeters and barometers are mounted in protected internal compartments so their environment tolerance does not have to take into account external conditions that demand more rugged packaging. Recreational drones operating specifications fall well within the capabilities of commercial 100 kPa pressure sensors. Other pressure sensor applications are found in other types of aircraft. For example, in light aircraft the simple form of an air speed indicator (ASI) measures the difference in pressure between the normal pressure around the craft and the increased pressure caused by propulsion. In more complex aircraft, pressure sensors can also monitor and help control the hydraulics, engine oil pressure and more. With requests to expand the rules for drones from companies including Amazon, even the Federal Aviation Administration (FAA) is sensing drone pressure these days. Welcome to All Sensors “Put the Pressure on Us” blog. This blog brings out pressure sensor aspects in a variety of applications inspired by headlines, consumer and industry requirements, market research, government activities and you. In this blog we’ll discuss the importance of pressure sensors’ role in solving drought problems. Determine if crop irrigation is sufficient to prevent over watering – soil monitoring through rain, temperature, wind, moisture sensors and more. Detect leaks to avoid unnecessary water usage. Pressure determines the flow rate and consequently the amount of water that is consumed so reducing the water pressure is a common conservation recommendation. Pressure regulators have a built-in pressure sensing mechanism. A common technique to determine if a system has leaks has three steps: pressurize the system, isolate the system from the pressure source and then measure the pressure to determine if a pressure drop occurs within a given amount of time. For residential and commercial water users, this would mean adding a pressure sensor to a system that already can measure unnecessary flow. The utility’s water meter can identify water consumption with its low-flow indicator. Water flow when all water usage is turned off indicates leaking faucets, toilets, irrigation valves or even leaky pipes. Some estimates blame undetected water leaks for 5 to 15% of a private residence’s water consumption. With today’s wireless technology and sophisticated computing capabilities, pressure sensing could become a tool for utilities to monitor their distribution networks to detect and identify the location of leaks before they become obvious geysers and floods. Researchers in Barcelona, Spain have been investigating this distributed pressure sensing approach for several years. Using the proper number of appropriately placed pressure sensors in the distribution network generates a leakage signature that allows leakage localization. The leakage detection procedure compares real pressure and flow data with estimates using a simulation of the mathematical network model. Genetic Algorithms allow the system to generate solutions to leakage problems in a much shorter timeframe than existing approaches. With water conservation becoming more and more of an issue, both users and suppliers need to take the appropriate steps to ensure future availability. Pressure sensors could be a major part of the solution.